New Yorkers are some of the most keen and savvy shoppers around. We are exposed to a multitude of ad stuff including billboards, flyers, the “two dweebs” standing in the middle of the sidewalk trying to sucker you into donating to their latest cause, signs, subway ads, free morning papers, etc…nearly everywhere you turn there is more ad stuff. As a result, we have developed a keen sense of what’s real and what’s not! There’s typically a jaw dropping reaction when it is revealed to a buyer of a co-op or condo in NYC that “working with a buyer’s broker is FREE.” That’s right, when you’re ready to apartment shop in NYC it costs you nothing to team up with an experienced broker who can provide you guidance and perspective. In fact, they will very likely save you time energy and money – if you choose a good one! What’s the catch? In New York, broker’s commissions are pre-determined prior to the listing going live and are paid for by the seller. This means the listing agent, or agent to the party selling an apartment, will split their commission (usually 50/50) with the buyer’s agent because ultimately they want to make a deal happen for their client. 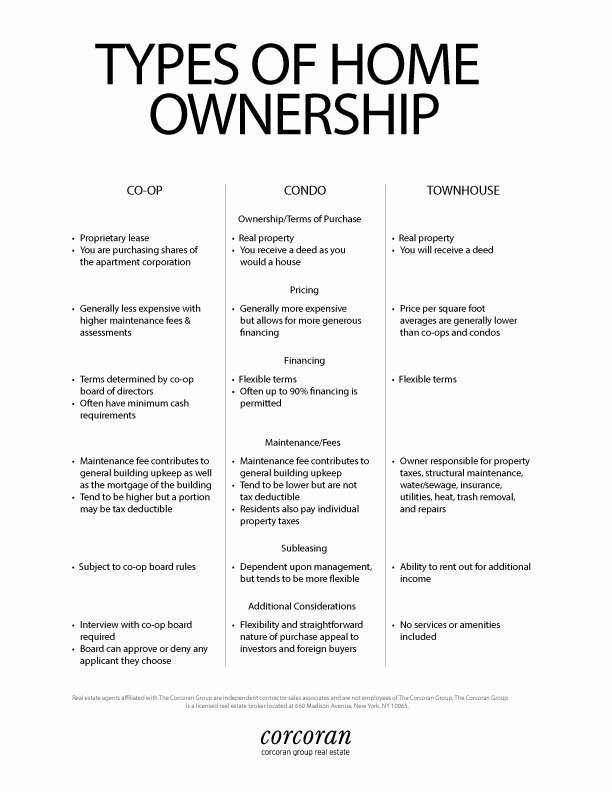 This “co-brokering” strategy/philosophy is beneficial to all parties – for the seller because they are engaging with many buyers’ brokers and their client who feels more comfortable working with a trusted advisor, and lastly the buyer too because they have more options to choose from and are fully represented in the transaction. Essentially the seller pays the commission for both the seller’s agent and the buyer’s agent. Typically the commission equals roughly 5-6% of the home’s sales price, which is split evenly between both agents (on a $1,000,000 home that would be $25,000-$30,000 apiece). In today’s market, the typical time needed to find and close on an apartment is anywhere between 4-6 months There is a fine balance between the time committed to the buyer and earning a commission at the closing table. 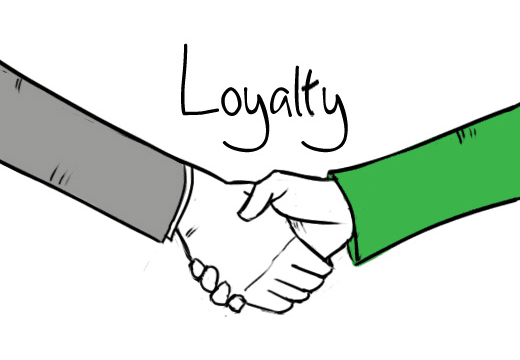 A good buyer’s agent will strive to prove their dedication and loyalty and will ask for your loyalty in return as you proceed in your search to make sure you find the best possible fit at the right price. It’s important to note the difference between buying agent and listing (sales) agent. As a home buyer, you should be aware and forewarned that when attending an open house alone with no buyer’s agent representation (either present or working from the sidelines) that when you engage the listing agent you will be unrepresented. A listing broker pledges his/her fiduciary responsibility to the seller and the seller only, therefore legally may not reveal information that could be relevant to the purchase or in your best interest. “Let’s say, for instance, you walked up to the listing agent at an open house and gushed about how you love the home and want to buy it, but you will need to move soon because you’re expecting your second child and need to decorate the nursery pronto, or the lease on your rental is up in a couple of months. A seller’s agent can use this information against you by informing the seller that your clock is ticking, so they shouldn’t budge too much on their asking price—or at all. What areas do they specialize in – live and work? What is their level of experience in real estate? Do they have testimonials and recommendations from previous buyers and sellers online? Are they friendly, capable, knowledgeable, patient – remember you are going to work with them for months. What is their availability to work with you? Take the time to interview a few brokers and ask pertinent questions about how they work, their process and their team of professionals that will help get you to the closing table with comfort and ease and without compromise or fail. Jeff Nolan specializes in both the sale and leasing of Manhattan and Brooklyn residential real estate properties (condos, coops and townhouses), having over 10+ years in transnational real estate experience with The Corcoran Group and 20+ years as a landlord/real estate investor. 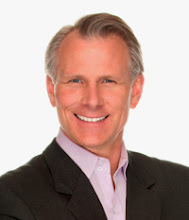 He is dedicated to bringing the right listings to your fingertips and ready to accommodate you on showings at any time. Don’t take our word for it, check him out online – just Google Jeff Nolan and Corcoran. We invite you to share your search criteria with us and schedule some time to work with him today. 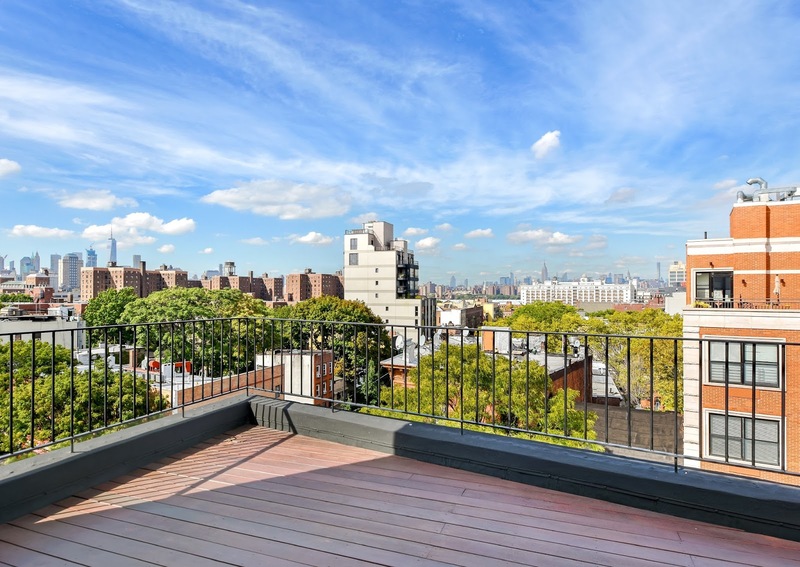 Private outdoor space in New York City is a luxury to say the least. Whether you're peering over from your balcony to buzz up the delivery man, sipping the morning coffee on your terrace, watching the sunset from your roof top cabana or grilling "shrimps on the barbie" in the garden with your friends – a balcony, terrace, cabana, or garden space is just about as "outdoorsy" as it gets in NYC. This week we are featuring a look at the value of this precious outdoor space that we love so dearly. Q: How do you put a price on outdoor space? A: Pricing outdoor space is determined by a number of factors. First, one must consider the use of the space, design, size, views, private or shared, and its proximity to the kitchen. For example, private terraces are obviously priced higher than shared terraces. Being able to walk out to terrace from your bedroom is convenient, but having a balcony or terrace with an entrance from your living room is more desirable for entertaining guests and more valuable. Who wants to have theirs guests traipse through their bedroom to get to the outdoor space. Size clearly matters too, but there is a sense of utility placed on every space. For example, 500 square feet (SF) is perfect for a table, lounge area and grill area, but perhaps a 1,000 SF is just not necessary. In this case, many buyers may not want to purchase an expensive space like this so the buyer pool is narrow and hence base on supply and demand, the value will typically be less per square foot if the space is too large. See below for different multiples to be applied to outdoor space in order to arrive at the fair market value. These multiples are applied to the interior price per square foot of the given building. Additional characteristics affecting the valuation of outdoor space include but are not limited to direct light, shade, views, layout, planted, noise level, quality, ability to grill, the building itself, location, privacy, etc. All of these factors will help to determine how the multiplier scale of ~25% to ~50% of the interior square footage of the building will be applied. What about BBQing in NYC? In FAQ’s for Those Lucky to Have Outdoor Space, The Brick Underground also shares that, “You can use a propane tank that’s smaller than 16.4 ounces in some cases. Remember, you can be slapped with fines of up to $10,000 or more if you don’t comply, although the law is mostly unenforced.” Fines this serious are simply necessary because the fire department doesn’t have enough manpower or time to check every terrace, therefore if you’re caught violating the law and using propane gas to BBQ you will be fined. On a brighter note, according to New York City’s Department of Buildings, “Cooking with a charcoal barbecue is legal on a terrace or in a backyard — but not on a balcony or roof. There must be a 10-foot clearance between the grill and the building.” If you get really lucky some buildings like 125 North 10th Street, actually have induvial gas line connections installed, so yes BBQing is legal, safe, and a favorite pass time for residents who own cabanas. It could be a conversation piece, an additional extension for entertaining, or even your private escape from four walls - it's really not classified as traditional "living space", but regardless it's coveted space and adds value to your property. Since January 2011, disclosure of relationships has changed. No we haven’t gone back and hacked your sweet love poems from yesteryear, although that one letter was hella’ smooth. We’re talking about the other important relationship in your life, the one with your real estate broker. When hiring a real estate agent you enter into a fairly close relationship – think about it, you are going to be talking and dealing with this person for months in one of the most important transactions of your life. There needs to be trust and you need to feel comfortable. You’ll be sharing pretty intimate details of your wealth, so confidentiality is critical – i.e. you need someone you can trust. In January 2011, NYC placed into law a requirement that real estate brokers must keep agency disclosure forms on file for a minimum of three years. This is a directive from the DOS (Department of State) to protect all parties involved in any and all residential real estate transaction. The NY Times wrote about A New Broker Disclosure Law in New York, enlightening the public that real estate agents are required to discuss agency and the contents of this form once there is “substantive interaction” such as a buyer talking about making an offer or learning more about a property. Where there is a great deal of confusion is during an open house where the direct buyer, who is not represented by a buyer's broker, walks into an open house and receives helpful information from the listing agent. At this point, it may seem as if the listing agent is representing the buyer, but nothing could be further from the truth. The listing agent represents the seller and has a fiduciary duty to the seller. This is one of the main reasons that you need to understand your relationship and also why it's a good idea to hire a buyer's broker. 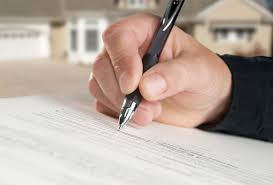 The Agency Disclosure form is not a contract, but rather a disclosure form that clarifies the relationship of the listing agent and the buyers broker. It signifies the agents fiduciary duty and speaks to other important aspects of the relationship like undivided loyalty, obedience, full disclosure, confidentiality and duty to account. It is here to protect you as a consumer. So, the next time you attend an Open House or engage in a conversation with a real estate agent, remember to ask the most important questions, “Who do you represent?”. Upon reviewing the Agency Disclosure Form, let us know if you have any questions and/or would like clarification about a specific circumstance.